NEW YORK (AP) — The photo is haunting. Among a number of figures gathered on a dock, the fuzzy image seems to be that of a woman, her back to the camera, gazing at what may be her crippled aircraft loaded on a barge, and perhaps wondering what her future might hold. 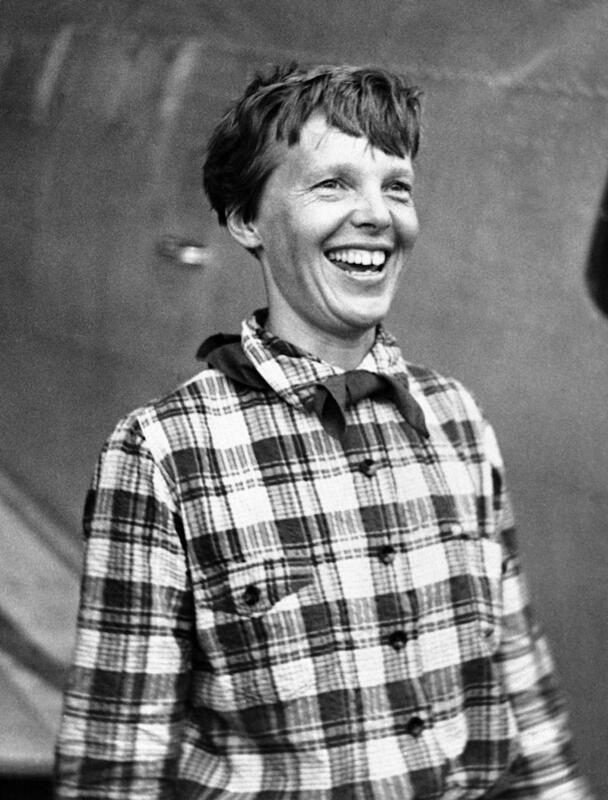 Is this Amelia Earhart, the world-famous aviator, witnessed after her mysterious disappearance while attempting the first round-the-world flight 80 years ago this month? That is the theory put forth in “Amelia Earhart: The Lost Evidence,” a two-hour documentary airing Sunday at 9 p.m. EDT on the History channel. It uncovers records, including this newly revealed photograph that shows what may be a healthy Earhart along with her navigator Fred Noonan, after they were last heard from. 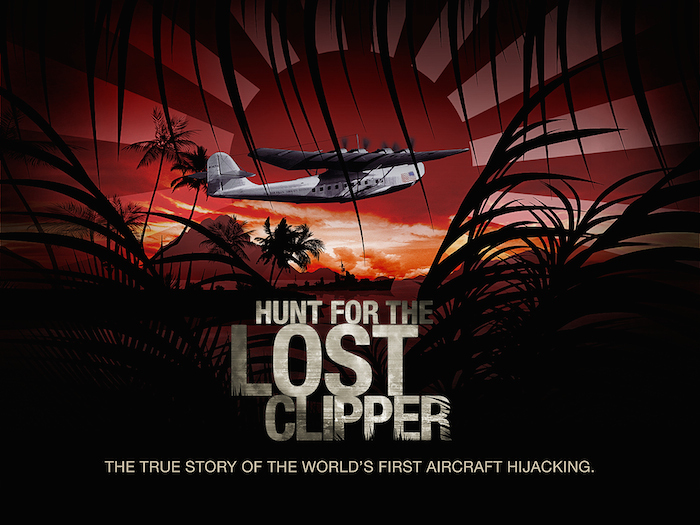 The film also argues that after the pair crash-landed in the Japanese-held Marshall Islands, they were picked up by the Japanese military and that Earhart, perhaps presumed to be a U.S. spy, was held prisoner. And there’s more: The United States government knew of her whereabouts and did nothing to rescue her, according to the film. NBC News Story click here. The discovery is featured in a new History channel special, “Amelia Earhart: The Lost Evidence,” that airs Sunday July 9, 2017. There are problems with this theory, to put it kindly. First, the MSN article claims that “Shortly after midnight on July 2, 1937, Earhart climbed into her Lockheed Electra at an airfield in Papua New Guinea and took off into the dark, muggy night.” The writer made the mistake of assuming that Earhart’s takeoff time of 0000 GMT translated into midnight in Papau New Guinea. As the video below shows, Earhart didn’t take off into the dark muggy night; she took off at 10 AM in the morning. Supposedly this picture was taken in Jaluit, and island of the Jaluit Atoll. Certainly some of the people on the dock have the appearance, as near as one can tell, of the Micronesian people of that region. But you’d think, if Earhart and Noonan were prisoners, that the Japanese would have a couple of soldiers guarding them, and if there are any such around they’re doing a damned good job of hiding. So, no, I don’t find this whole line of questioning at all convincing, especially on a B&W photo whose resolution isn’t the best. I also understand this photo turned up in an American archive, so isn’t it a reasonable question to ask if there is something like a chain of evidence showing how the photo got there in the first place? That might be useful to know. Hi Tom and thanks for your valuable input. I agree that the lack of Japanese soldiers being present is puzzling given the value of the two American flyers however having visited that area three times and speaking with the locals that shared oral histories about that time, it may be normal for Jaluit in 1937. By 1937 the Imperial Japanese Navy was calling the shots in Micronesia and initiated construction of major improvements in air, sea and land facilities in the Marshal Islands but they still did not have a high Army presence. Sea-plane facilities had already been built for the Nan’yõ-Cho (South Seas Government) in the late 1930s on several islands of the former Mandated Territory and between 1935 and 1937 the Japanese government spent almost Yen1,000,000 on further construction of air facilities. 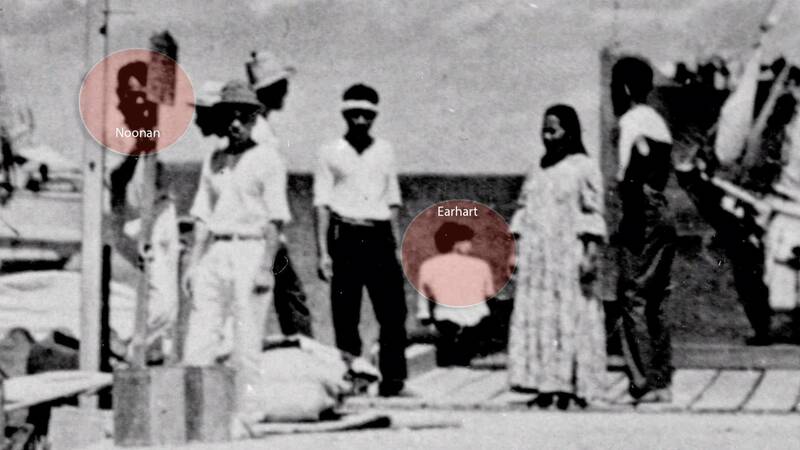 The newly discovered photo of the supposed Earhart & Noonan arrival on Jaluit Atoll being shared online allegedly came from an allied spy taking photos for America. There is a wealth of information to be mined from the image including the identification of the ship (the Kōshū Maru) in the background tugging what appears to be a 30 foot long aircraft. This image is eerily similar to the Marshall Islands 44 cent stamp depicting the Koshu recovering Earhart’s Electra. Little is known about the Koshu Maru prior to World War II however the date of the photo will be important as the Koshu was originally named the Teishu Maru when it was launched August 25th 1937 and renamed Koshu Maru when sold to Chosen Yusen in 1941. I personally think it does show the two because an expert who works with the FBI in identifying people in poor quality photography researched the image and used characteristic traits and measurements to say there is a “most likely” chance that they where captured in the photo. This fits with a timeline I have found in numerous documents and oral histories that they were” rescued” (made guests of the Emporer so they would net be guarded) and then LATER imprisoned on Saipan as Spys against Japan. In one such oral history from an Australian prisoner who was released from the prison said he had listened to two Japanese workers (one a maid and the other a guard) who were arguing why “the pilot lady” was on Saipan. The maid insisted she was a guest of the Emperor and the guard said she was a spy.. yet both agreed that it was the American woman pilot. Mind you I’m open to the possibility. I’m impressed that you obtained local knowledge on the subject, particularly with regard to establishing “normal” procedure re the IJN at the time. Another scenario might be that at this point the Japanese were simply being cagey about the two, that decision not yet having been made. And I’ve just looked up Jaluit on Google Earth. Do you have access to contemporary photography from the island or the atoll? That could be helpful. I do have access to the photography partly from the Micronesian Archives partially based on Guam and also at the Xavier School in Chuuk. I am wondering though if something still exists in Japan even though most images were destroyed either in allied bombings or purposefully before surrender. Hey Guy, very interesting info you provide. I was attempting to remain skeptical of this story, but I keep seeing more and more information that can’t just be coincidental. I wanted to point out that there were two ships that were named Koshu Maru in operation at the same time operating out of Japan, one was built in 1911 and the other was built in 1937. On some of the websites I’ve found looking up information on both, I’ve seen Koshu No.1 or Koshu No.2. Both were destroyed during the war but it is difficult to determine which one was which. One was sunk by the USS Ray, a submarine, in November 1944. It was carrying paying passengers, troops and POW’s from Indonesia, 1,500 lives were lost in the sinking. The other Koshu Maru was sunk by carrier planes in April 1945. What I found really interesting is that (one of) the Koshu Maru was one of two Japanese ships ordered to assist in the search of Earhart and Noonan in and around the Marshall Islands. I’ve also seen several references from a Earhart book released in the 1980’s that through research of IJN records indicated that this ship entered the port at Jaluit Atoll twice between July 9th and July 19th 1937. The recently released photo has to document one of these events. How often would this specific ship visit such a remote outpost? I’m very much looking forward to this program Sunday. Thanks for the message and I stand with you. I was a bit confused at first while doing the research and saw two completely different yet detailed accountings for the demise of the Koshu. I had not thought of there being two of them and now looking back see the notations. Research done alone is never totally accurate but with fine people like yourself, it makes the data more solid. Thanks for stepping in!